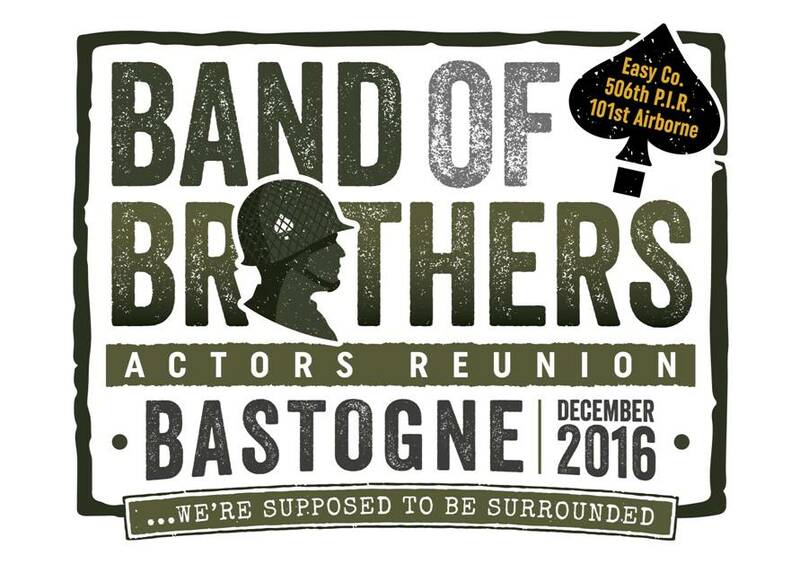 We're sure you have already news about the next Band of Brothers Actors Bastogne Reunion which is going to celebrate on December 9-11, 2016. It's one of the most important events of 2016. WW2live colaborates World War II Foundation in the promoting this valuable meeting for first time. In this occasion, for the first time, the Band of Brothers actors are returning to Bastogne, Belgium to take part in Bastogne’s annual ceremonies and activities marking the anniversary of the Battle of the Bulge and the 101st Airborne’s historic defense of the city in December of 1944. 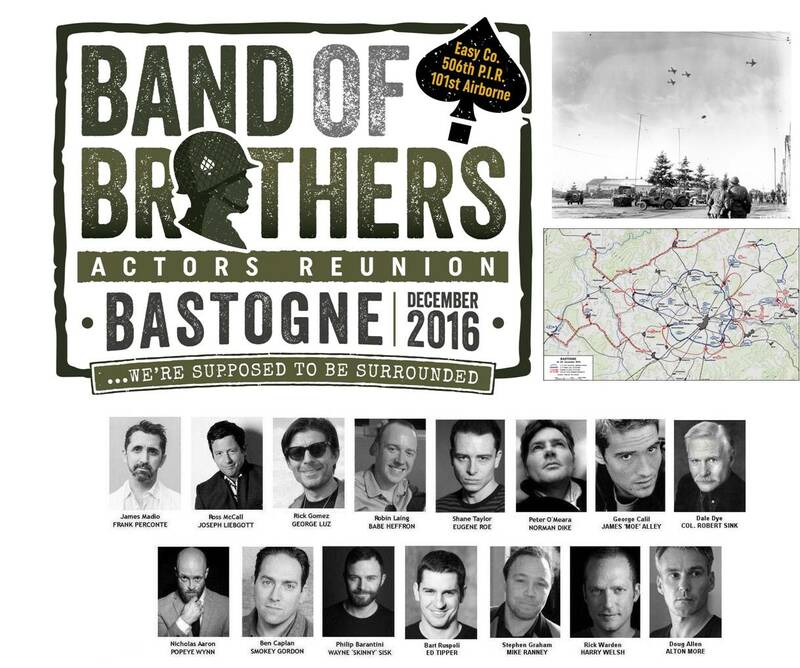 Several of the actors who were featured in the Bastogne episode’s of Band of Brothers will be attending the reunion in December of 2016. Many WWII veterans will also be there. Together will mark the 15th anniversary of the release of the incredible HBO television series. It's an unic occasion to remember this important battle and the key role played by 101st U.S. Airborne Division in the siege of Bastogne. 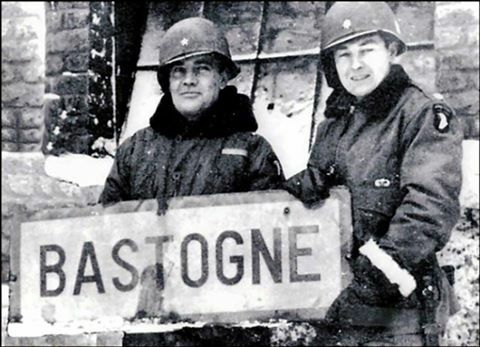 For German Forces, in their offensive through the densely wooded Ardennes highlands, Bastogne was a vital crossroad. All seven main roads converged on Bastogne, just a few miles away from the border with neighbouring Luxembourg. 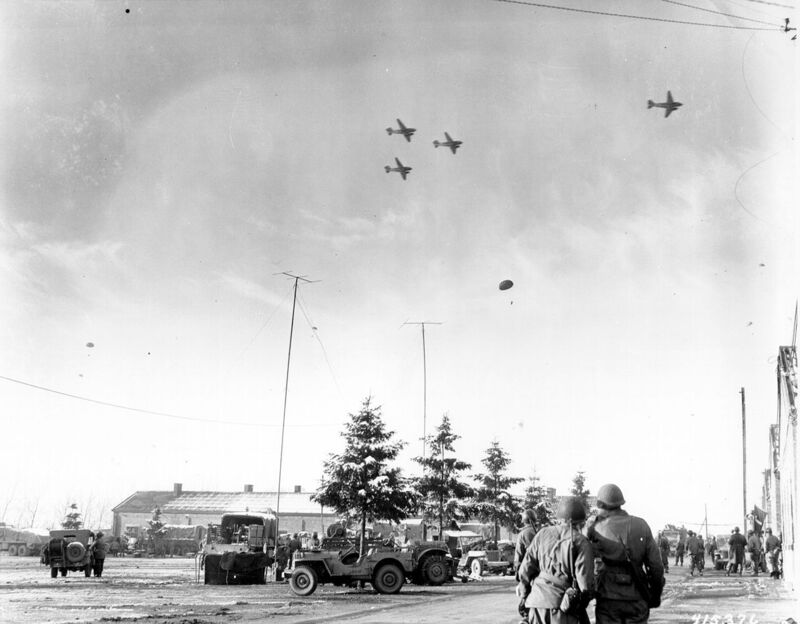 The 101st U.S. Airborne Division formed an all-round perimeter using the 502nd PIR on the northwest shoulder to block the 26th Volksgrenadier, the 506th PIR to block entry from Noville, the 501st PIR defending the eastern approach, and the 327th GIR scattered from Marvie in the southeast to Champs in the west along the southern perimeter, augmented by engineer and artillery units plugging gaps in the line. Other minor forces supported the defensive line (CCB of the 10th Armored Division, three artillery battalions, medical company, and numerous service troops used as infantry). General von Lüttwitz submitted a demand for surrender to his American counterpart commanding the American forces in Bastogne, Brigadier General Anthony McAuliffe. In response to the German demand McAuliffe responded: NUTS!. German general. On Christmas Eve, german Forces were launched the assault, preceded by a Luftwaffe bombardement of the city.. The siege was from 20th to the 27th December, until the besieged American forces were relieved by elements of General George Patton's Third Army. With the encirclement broken, the men of the 101st expected to be relieved, but were given orders to resume the offensive. The 506th attacked north and recaptured Recogne on 9 January 1945, the Bois des Corbeaux (Corbeaux Wood), to the right of Easy Company, on 10 January, and Foy on 13 January. All proceeds raised continue to benefit the non-profit mission of the World War II Foundation. The World War II Foundation is one of the world’s leading non-profit organizations committed to educating future generations about the personal stories of the WWII generation.